After winning the bid of NTC’s defunct Bharat Textile Mills in Worli, Mumbai, for Rs. 1505 cr, Indiabulls Real Estate shares have raised by over 3 %. Last Friday, the bid for Bharat Textile Mills closed and the winner was Indiabulls Infraestate which won by just Rs. 2 cr. On the Bombay Stock Exchange, the shares settle at Rs 175.70 which is 3.51 % higher than the share price before this bid. 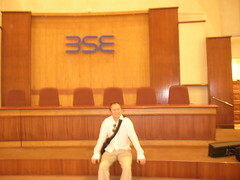 Also, on the National Stock Exchange, the share price closed at Rs. 176.45; 4% higher. Sensex, the broader market also closed higher by 143.51 points at 18,287.50. Indiabulls had also one the auction before this one which was for NTC’s 2.3-acre Poddar Mill held last week. Indiabulls paid almost double the reserve price for the mill, i.e. it paid Rs.474 cr for the mill where the bid started from Rs.250 cr.